These are all located on the west side of Manhattan and are located between 1 and 5 miles from Teachers College at 525 W 120th St. There are, of course, many, many other hotels and housing facilities available in NYC and the surrounding region. W New York Times Square features 509 ultra-modern guest rooms and 43 suites. Their services and amenities include high-speed internet access, exercise rooms, and Aveda bath products. This 1,000-room hotel features cozy “studios.” Amenities include in-room safe, cable TV, Sony CD players and Agua bath products. The Lucerne features 250 deluxe oversized rooms and suites. Its offerings include in-room movie, Nintendo game system, high-speed internet access and choice of complimentary newspaper. Aloft rooms feature an “ultra-comfortable” signature bed, a walk-in shower, custom amenities by Bliss Spa, and more. Each room contains VCR, CD/cassette stereo (extensive CD library available) and use of the health club facilities. LOOKING TO FIND A ROOMMATE WHO IS ALSO A WORKSHOP PARTICIPANT? The admin of our Facebook Group will be monitoring messages and will make sure that messages seeking roommates are on top. STEMteachersNYC’s Facebook Group now has a few hundred teacher-members, almost all of whom have attended our workshops, so you can assume that the recipients of your message will have a sense of the context for your request. 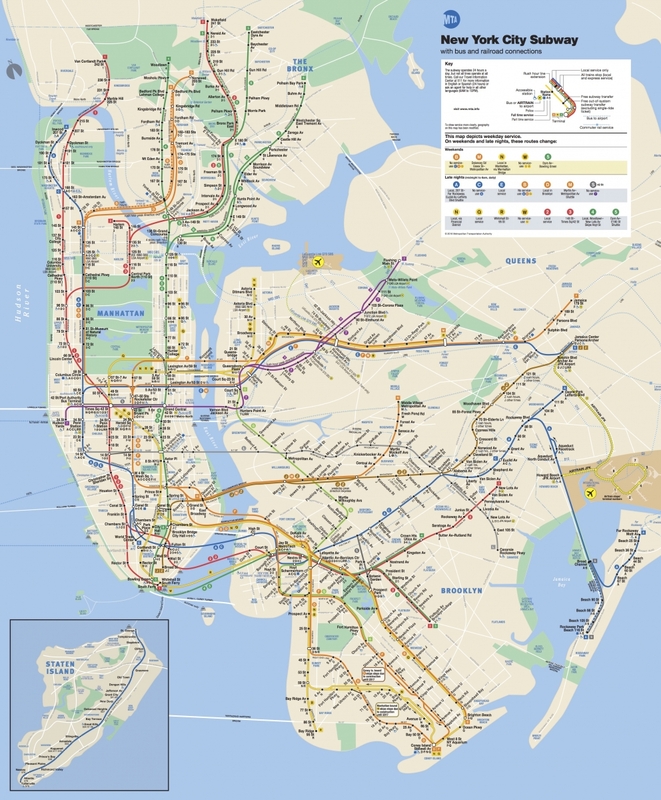 New Jersey is closer than you would think: just across the Hudson River, with a variety of commuter trains (either the Port Authority Trans Hudson, PATH, trains, or NJ Transit) which come into Penn Station (and other locations) with a direct connection to the #1, 2, & 3 subways. 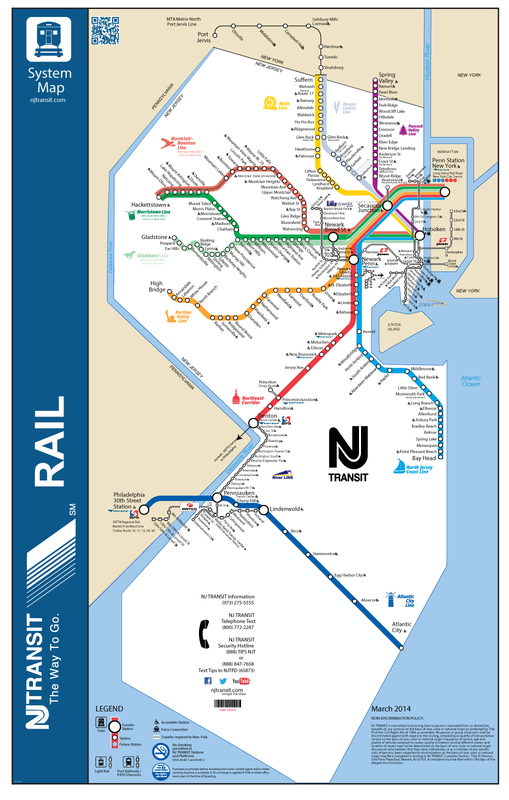 Newark or Jersey City, for example, are reachable via PATH and/or NJ Transit. One name to try is the Best Western Robert Treat at 50 Park Pl., Newark, NJ. A colleague stayed there and said it was convenient to Penn Station. For additional info about geography and transportation (especially from the airport), see section below. Short primer on Manhattan geography centered on the Marrakech Hotel. The Marrakech Hotel is located on the “Upper West Side” of Manhattan at 2688 Broadway (at W. 103rd St.). Manhattan is a long Island, with the long axis lying approximately north-south. Almost all of the Island north of what is usually called “Greenwich Village” is laid out in a simple grid: the East-West streets start at 14th St. and go up all the way into the 200s at the northern tip, with almost exactly 20 blocks per mile, so from 14th to 24th is 0.5 miles, etc. The north-south streets are all “Avenues,” starting with 1st Ave. near the “East River” and going up to 12th Ave. near the Hudson River to the west. 5th Ave. is more or less in the “center” of the island. To the east of 5th Ave., all streets have an “East” prefix: E. 14th St, E. 96th St., etc. To the west of 5th Ave., all streets have a “West” prefix; for example, W. 14th St. and W. 96th St.
#1 Subway (“local”). The closest subway to the Marrakech is the #1 train, which has a stop at West 103rd St. (on Broadway), essentially right in front of the hotel. The #1 train is a “local” train that stops at every stop and runs north and south the entire length of Manhattan on the west side of the Island. Going south from the Marrakech, the #1 goes along Broadway, stopping every 6-10 blocks, with important stops at W 96th St., W 72nd St., W. 66th St./Lincoln Center, W. 59th St./Columbus Circle, W. 42nd St/Times Square. The #1 then continues south along 7th Avenue, stopping again about every 6-10 blocks, including W. 34th St./Penn Station, W. 14th St., & Chambers St. …. #2 & #3 Subways (“express”). There are also “express” trains (#2 and #3) that run along the same route as the #1 between W 96 St and Chambers St. (stopping in between only at W. 72, W. 42, W. 34/Penn Station, and W. 14). HOWEVER, ONLY the #1 stops at W. 103rd St where the Marrakech is located, so if you are leaving the Marrakech and want to take the faster, express #2 or #3, you must first walk to W. 96th and Broadway, or take the #1 south from W. 103. And, most important, if you are going back to the Marrakech from “downtown,” traveling north on the #2 or #3 express, you MUST get off at W. 96 St. and switch to the #1 on the other side of the platform. Travel from airports to Marrakech Hotel. Taxi: There are “official” taxi stations with attendants at LaGuardia and JFK Airports. DO NOT jump into a taxi or private car that offers to take you to Manhattan unless you negotiate the price first. Here’s the link to the official NYC Taxi & Limo Commission rules about fares: <http://www.nyc.gov/html/tlc/html/passenger/taxicab_rate.shtml>. From JFK Airport to Manhattan, the taxi flat fare is $52 plus tolls and some fees. From LaGuardia and Newark the ride is metered; about $35 or so from LaGuardia to Manhattan, and MUCH more from Newark (maybe close to $100).